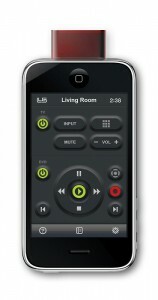 At CES 2010, L5 Technologies announced their “L5 Remote“, for iPhone and iPod Touch. It is a universal remote control for the iPhone and iPod Touch, that will control any IR (infrared) device in your home. A small IR transmitter peripheral plugs in to the dock connector of your Apple touch device, and an app does the rest. 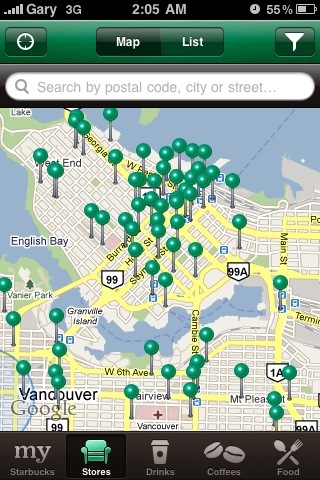 You are able to program up to 1000 devices into the app, with a simple “learning” feature. Anything that uses an infrared remote control (which is just about any media device in your home) will be able to be controlled by your iPhone. TV, DVR, cable set top box, DVD, audio receivers, XBOX 360, Bluray, VCR….the list is just about endless. Powerful enough to replace a coffee table full of remotes. Drag and drop to design the remote you want. Keep the buttons you use. Delete the ones you donâ€™t. Intuitive app for iPhone and iPod touch. No batteries, no WiFi, no wall plug needed. With the L5 Remote, you have the power of a whole coffee table full of remotes with the elegance and simplicity of your iPhone or iPod touch. Out with the clutter and confusion, and in with everything you love about your iPhone or iPod touch: the sharp, brilliant display, the Multi-Touch interface, the versatility and portability. The L5 remote is a tiny accessory and app that gives you all the power and none of the complexity. It works without WiFi, external power, or batteries. Take it anywhere you want. Use it to control your TV, cable box, DVD, DVR, and most devices that come with an IR remote. Plug in the accessory and tap a button to download the free app. Quickly and easily design your first custom remote by dragging and dropping any buttons you want, then â€˜assignâ€™ a signal to each by pressing the corresponding button on your old remote while pointing it at your new L5 Remote. The L5 Remote intelligently analyzes the signal and stores it in your iPhone or iPod Touch. You can program all your remotes in just minutes. Want to check it out first? Download the free app from iTunes and design your dream remote. Discover how easy it is. If you like what youâ€™ve designed, buy the accessory to bring your design to life. Once youâ€™re using your L5 Remote, you can stash the old remotes, and enjoy the convenience and simplicity of using your iPhone to control all your entertainment and home automation devices. The device that plugs into your iPhone is quite small. It is about the size of the dock connector end, of your iPhone’s USB cable. It measures 1.22 x .83 x .40 inches, and weighs 0.14oz. It is simply the transmitter and has no buttons. It is powered by the iPhone’s battery, but an IR transmitter barely uses any power at all, so there is no worries of the device draining your iPhone’s battery. The hardware is expected to cost just $49.95, when it is released, and the accompanying app will be a free download, from the App Store. In fact, you will be able to download the app, before you purchase the L5 Remote, and play with the remote control layouts, macros, etc, to see if it is right for you. Then when you purchase the device, your all ready to go. To use the app, your device must be on iPhone OS 3.0, or later. The product is ready and weâ€™re awaiting final approvals. Expect it within a few weeks. The people who signed our NOTIFY ME list, will be the first 20,000 to know! Thank you, James and everyone else thatâ€™s excited about the L5 Remote. Nobody is more anxious than we are! If you go to their website now, you can sign up to be notified, when the L5 Remote will be available. There are some similar products and apps on the horizon, from NewKinetix and TotalControl, but the L5 Remote seems to be the one to look out for, for convenience and value. Thanks for reading, everyone! You can also read more rorypiper, over and Green Candy, and you can follow me on the ‘ole Twitter.